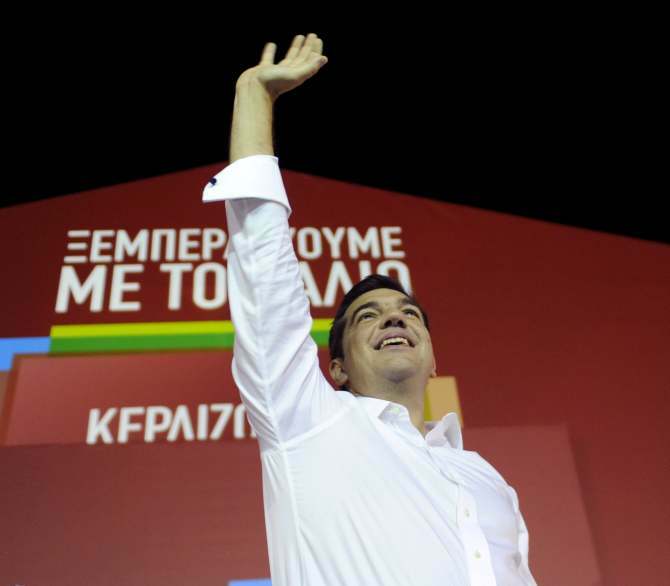 A month after he resigned as the prime minister, Alexis Tsipras won the snap elections in Greece. Speaking to his supporters in Athens, Tsipras said that his left-wing Syriza party had a “clear mandate” after winning the second general elections in less than nine months. "This result does not belong to Syriza. This result belongs to the working classes of this country, the people who fight for a better tomorrow, who dream of a better tomorrow,” he said. “I feel vindicated because the Greek people have a clear mandate to carry on fighting inside and outside our country to uphold the pride of our people,” he added. More than 50 per cent of the votes are counted and Syriza was emerging as a clear winner with 35.5 per cent of the vote, according to preliminary elections results released by the Greek Interior Ministry. That would give Syriza 145 of the Greek Parliament's 300 seats, reports CNN. The snap polls were called after Syriza lost its majority in August. This followed the signing of an unpopular new financial bailout deal with international creditors. Greek crisis: An opportunity for Indian investors?